Don’t worry, the bridge will not be turned into a toll bridge and that web page that you saw upon landing on our site is not our new website. Happy April! Happy April Fools! 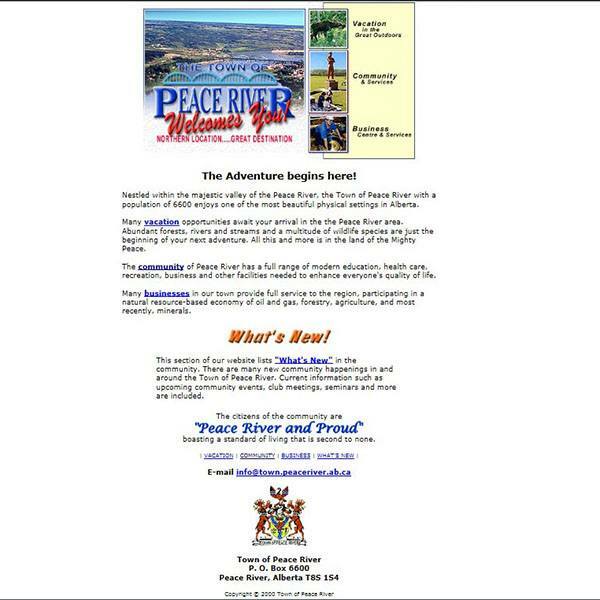 Also here is a screenshot of the Town of Peace River’s first ever website! This screenshot is from 2000.